Over the last month, we have had the absolute honor and pleasure of touring and getting to learn about some of the Non-Profits and Organizations who are making a difference here in the Greater Baltimore region. With today being #GivingTuesday we wanted to share a little bit more information with you about Art With A Heart, located right here in Baltimore. Art with a Heart brings interactive visual arts classes into schools, community centers, group homes, shelters, permanent housing facilities, hospitals, and senior housing facilities. Founded in 2000, Art with a Heart has experienced steady growth, from four small classes a week to 11,000 annually, with a proven track record for developing creative initiatives and accessible paths to success for individuals living in Baltimore’s most vulnerable communities. Art with a Heart provides teachers, assistants, materials, and innovative curriculum to engage our vulnerable neighbors in consistent art programming. Their classes cover everything from youth homes, all the way to senior housing. Many of us know the healing effects of art and creating something on your own. The empowerment many of these classes bring the communities who would otherwise not have access is huge and definitely felt when you enter their location. 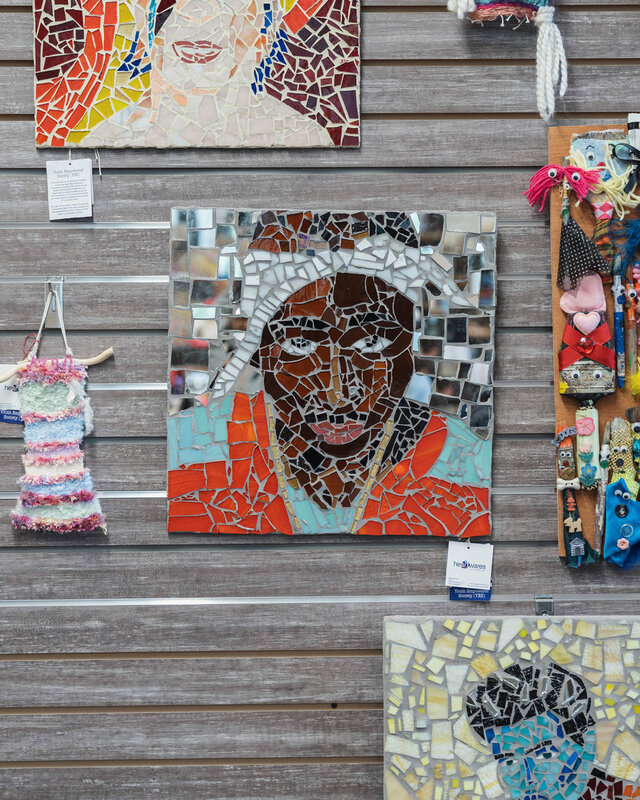 They also have a HeARTwares program that allows them to sell art that was created by participants of HeARTworks, a workforce development program for disconnected youth, and volunteers. Sale proceeds are shared between Art with a Heart and the artist or community partner. This helps them not only expand their programming, but it helps grow the opportunities for other community partners they work with. There is still time to swing by their Falls Road location and grab some unique gifts for the holiday season, created by locals and for a good cause! They also have their Holiday Party on Sunday, December 2nd from 4PM to 7PM, it’ll be a great time and they will be lighting their new Art With A Heart sign for the first time at 6PM!